Perfect for the rustic decor, this Antique French carpenter's Workbench is equipped with original and still functional wood and iron vice! 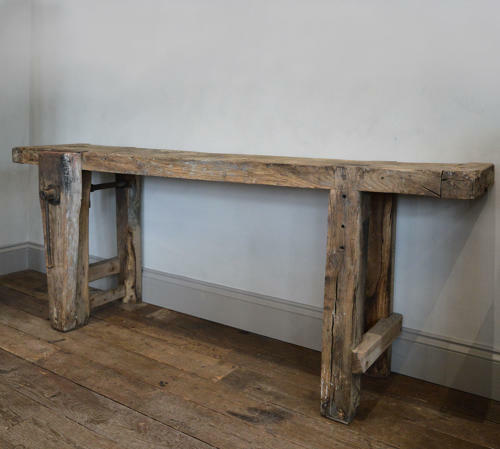 This sturdy oak workbench will withstand everyday use with ease and is sure to be a focal point in your decor. Workbenches such as this are often used as sofa tables, consoles or unique bars!